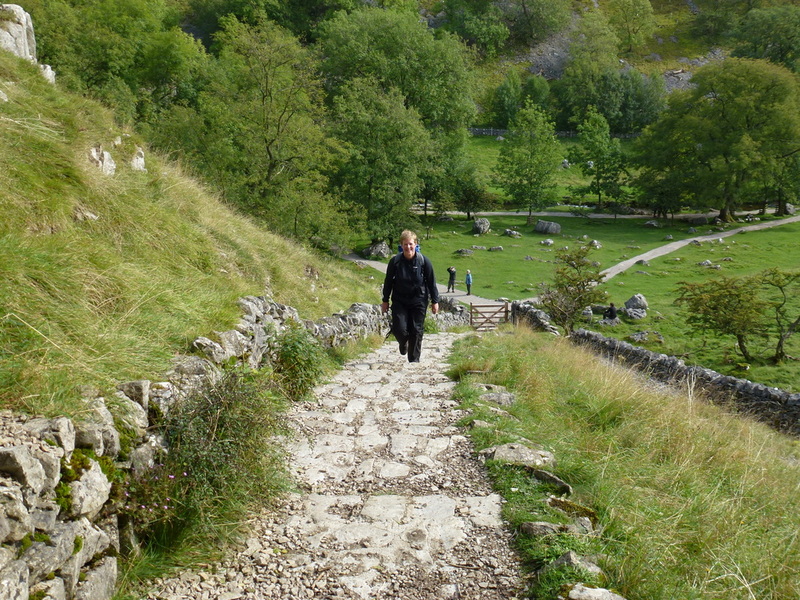 Good paths with a small amount of road walking near Malham. 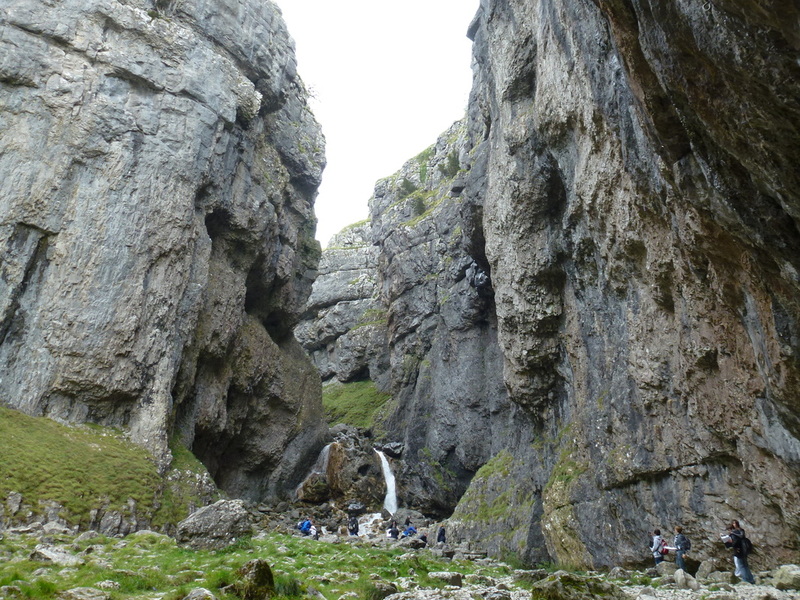 The scramble up Gordale Scar is not for everybody therefore ensure you are confident you are able to climb up before attempting it. There is an alternative route detailed below in the narrative. 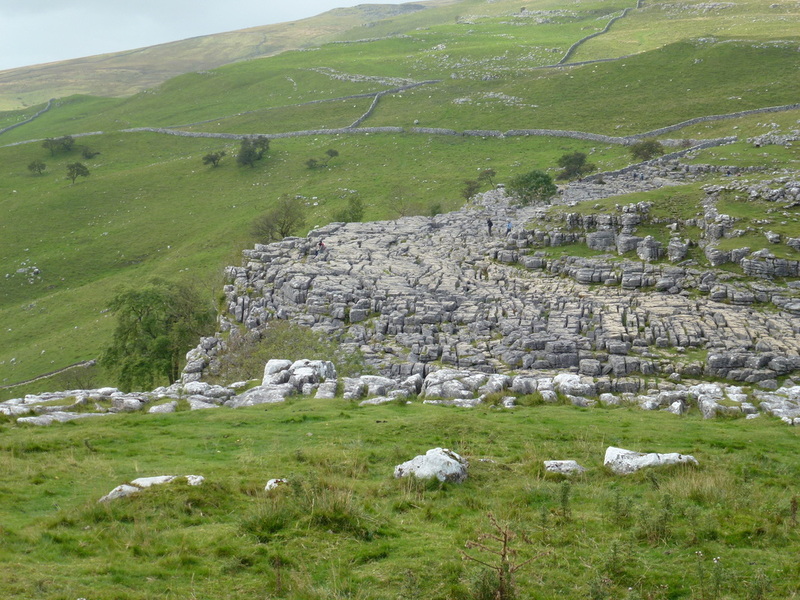 We would suggest not attempting the scramble either during or after heavy rain. 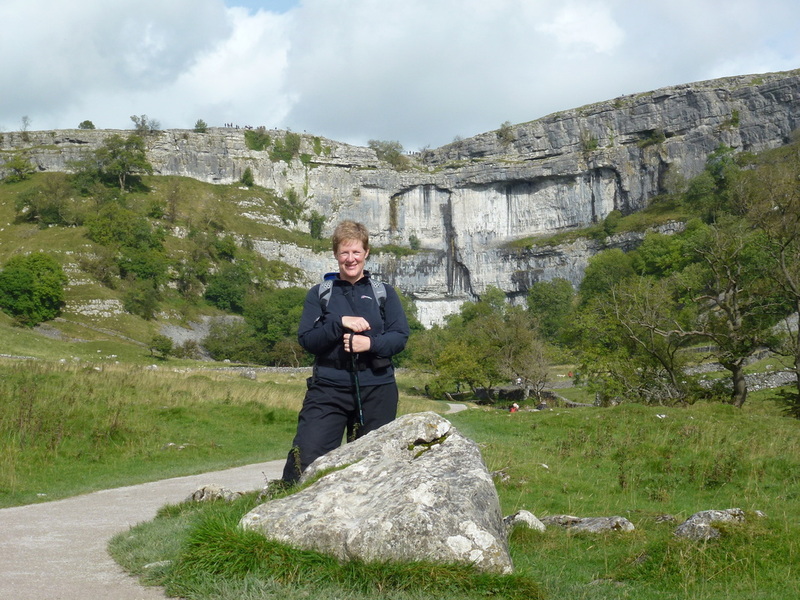 ​We were really looking forward to this walk having never been to either Malham Cove or Gordale Scar - both of which are visited on this route. 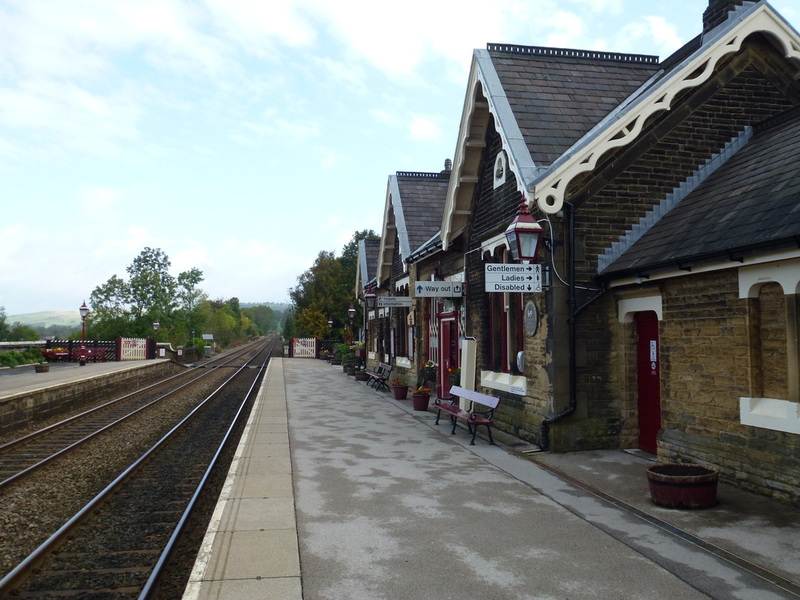 The walk starts in the town of Settle at the railway station which is the start/finish of the Settle to Carlisle line. There is parking at the station if you get there early enough, failing that there is plenty in the town itself. 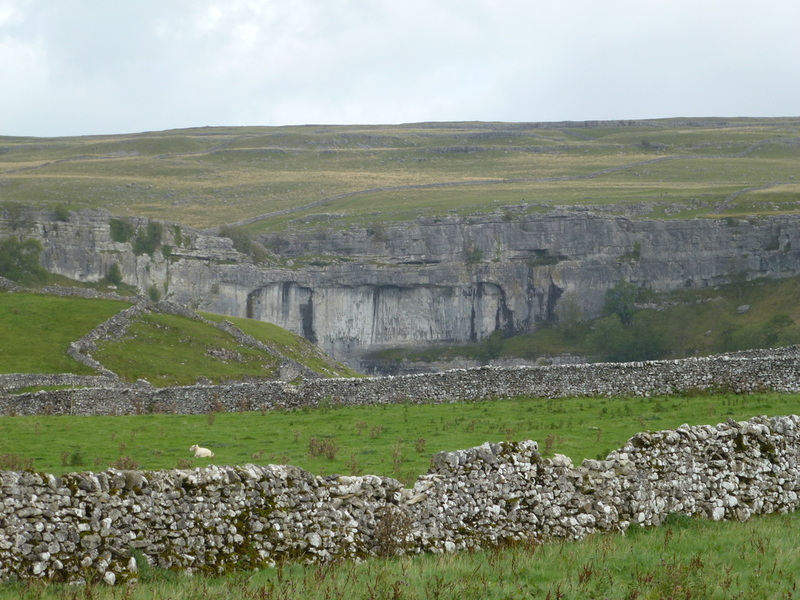 Heading out of Settle, the route soon reaches open fields passing Warrendale Knotts and reaching Stockdale Lane where a good path takes you all the way to Malham - there are good views of the cove as you approach the village. 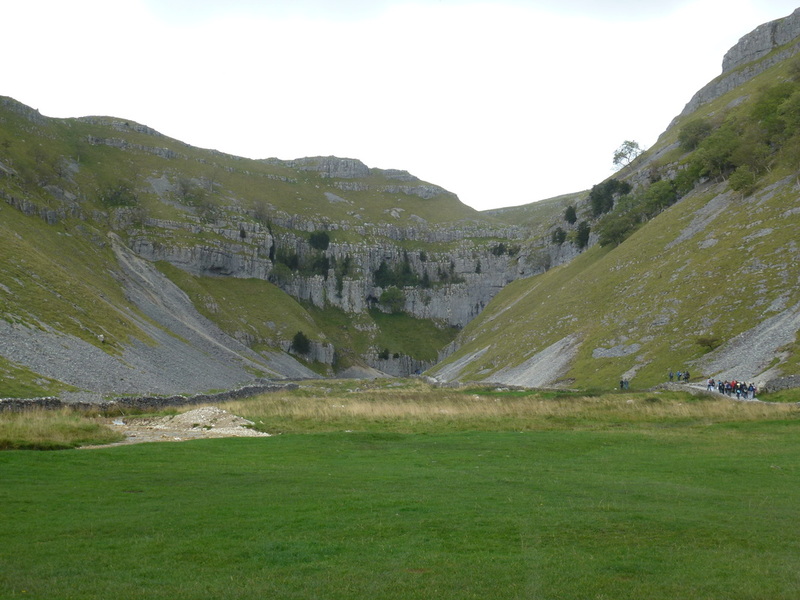 The cove is a beautiful curved limestone cliff which is 80 metres high and is reached from the valley floor via about 400 irregular stone steps. 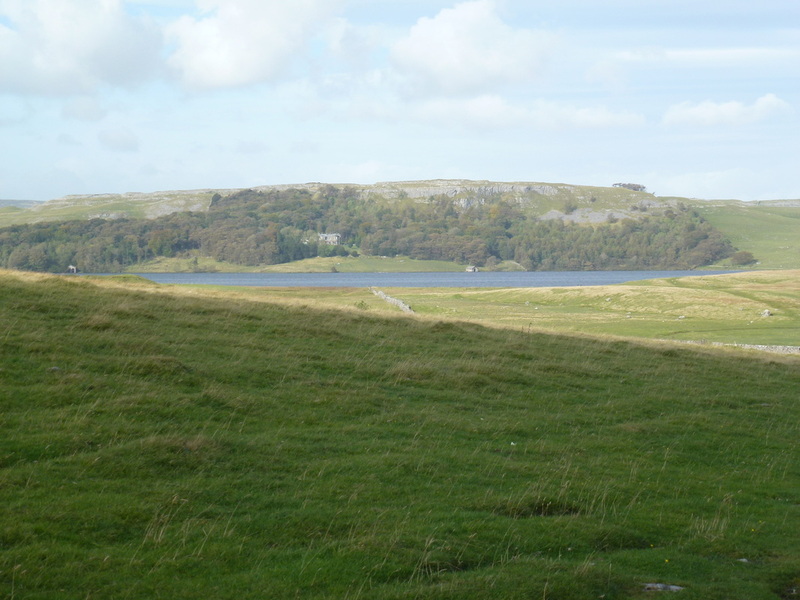 Once on the top of the limestone plateau take time to explore the top and enjoy the view back down to Malham. 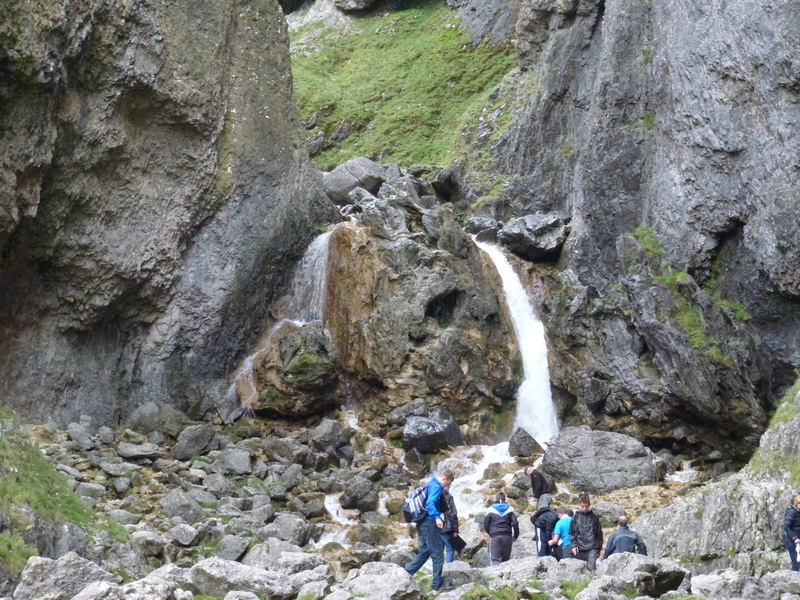 Leaving the top of the cove, the route heads south east reaching a lay-by at Gordale Bridge - there is normally a snack van here. 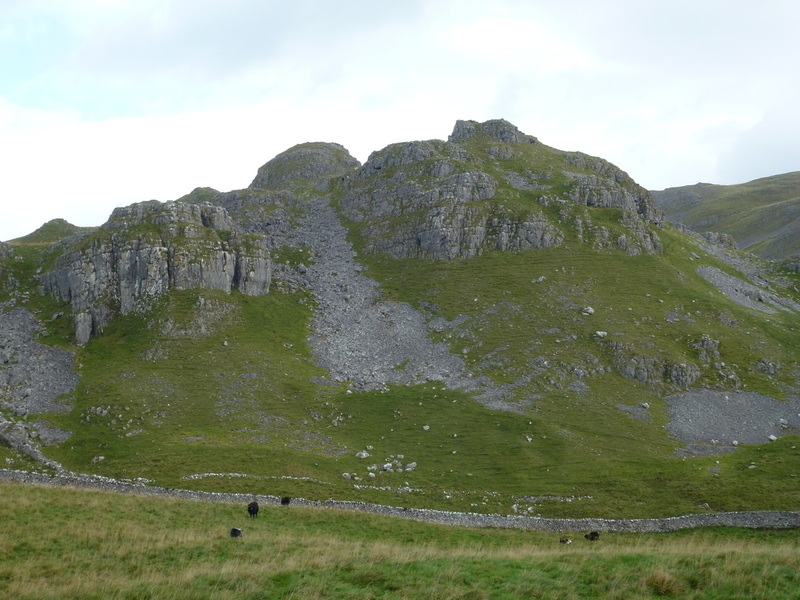 Walk along the road and you will shortly see a path leading off left to Gordale Scar. Follow this path (you will probably not be alone!) 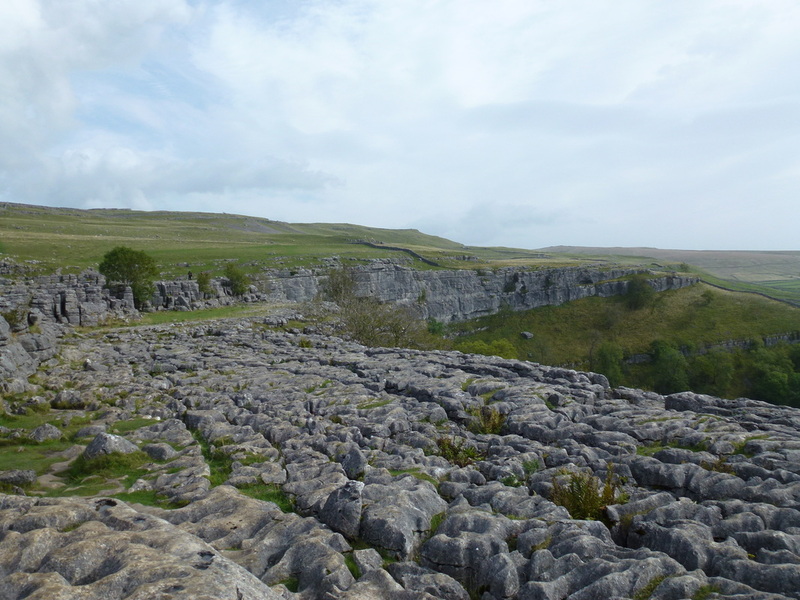 to reach the impressive dramatic limestone ravine, some 100 metres high. 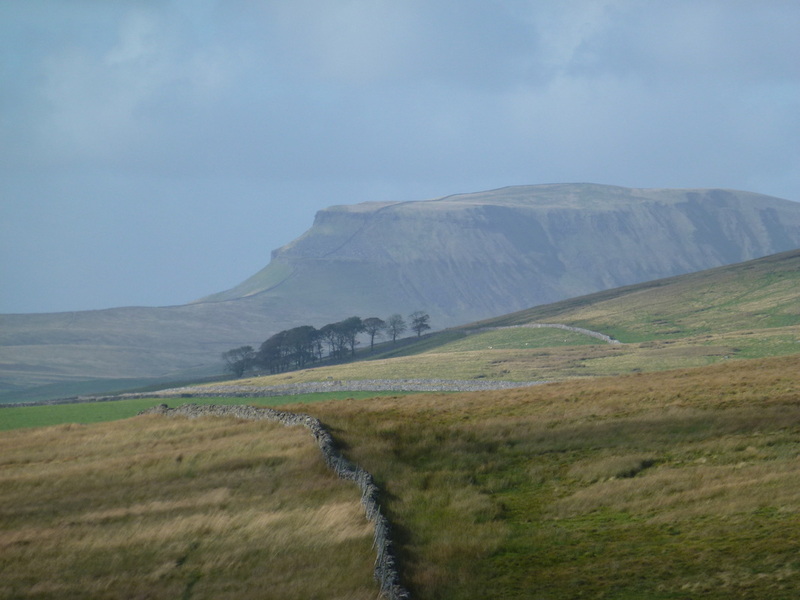 The Scar has two waterfalls and these must be negotiated in order to carry on this particular version of the route - it is generally accepted that the best way up is via the left hand side. 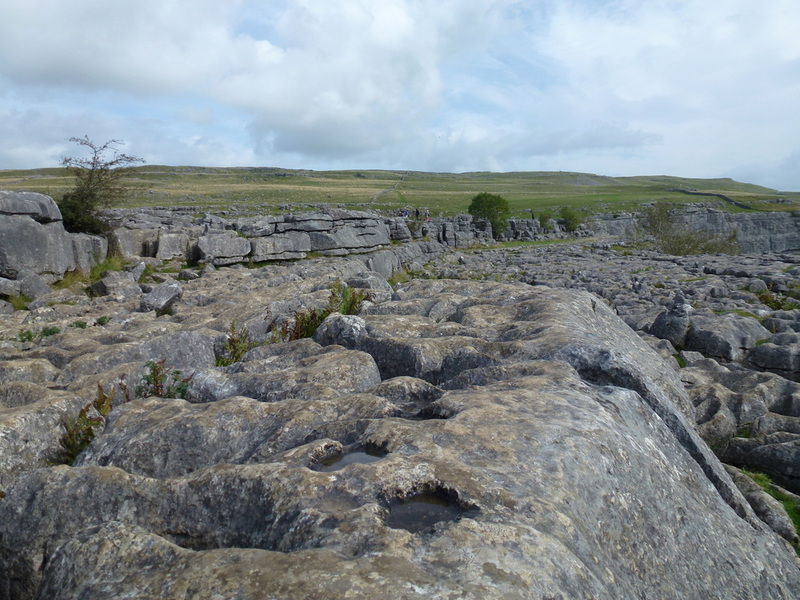 If you do not fancy the scramble (like us!!) 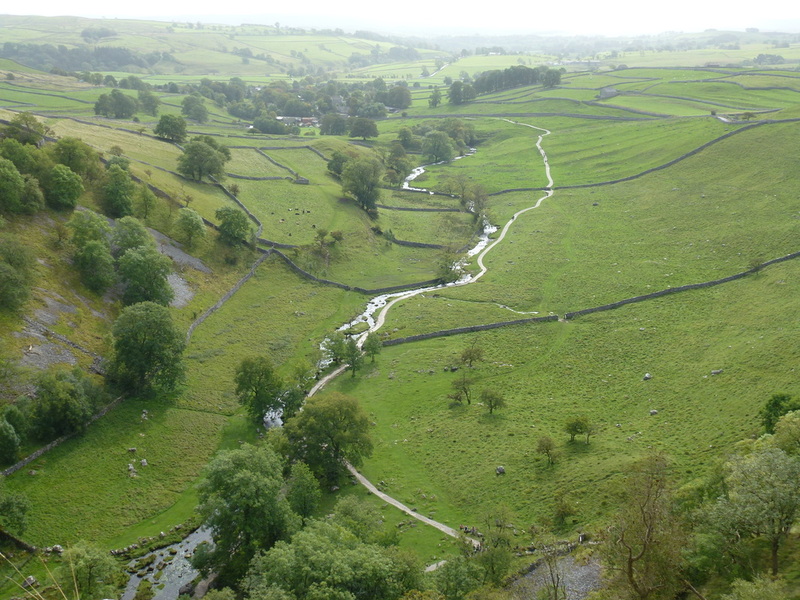 or after heavy rain when it becomes impassable then make your way graciously back to the lay by. There is a kissing gate here - go through this and as you walk along the path for 400 yards or so, look out for an obvious path (not marked on the OS map) on the right making its way up the hillside to New Close Knotts. This is a steep climb and at the top, bear right to the edge of the gorge and follow it along to connect with the path from the waterfall at SD 914643. (see map above) - you are now back on the original route. 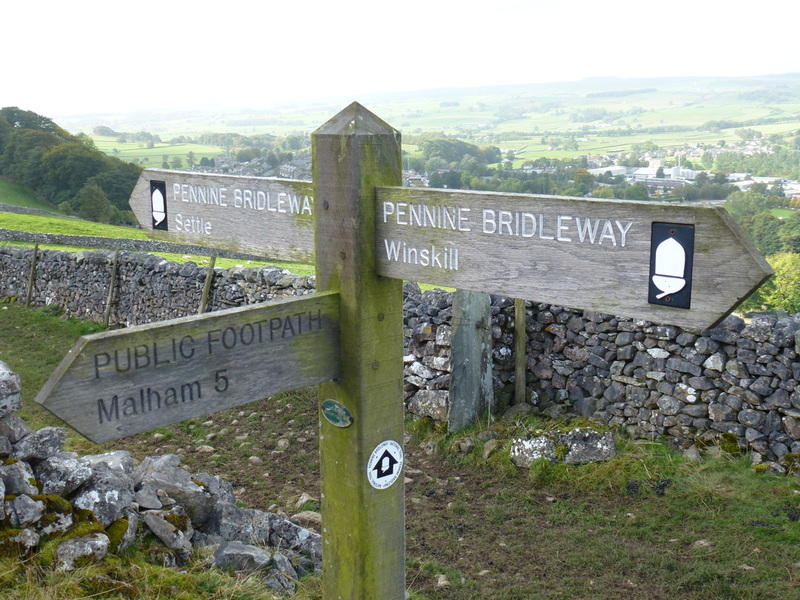 There is now a good path to reach Street Gate and from there begins a short section of road walking, albeit on a very quiet track to reach the junction where The Pennine Way comes in from the left at Low Trenhouse. 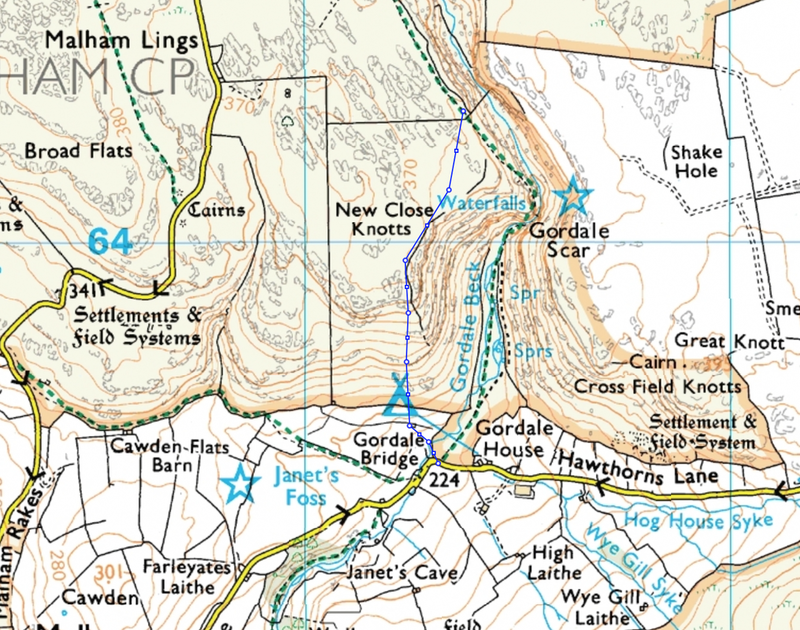 From here back to Settle is a really nice long amble over moorland on a pretty good path passing both Victoria Cave and Attermire Scar to reach the path junction near Warrendale Knotts - you then follow the same route back to Settle. 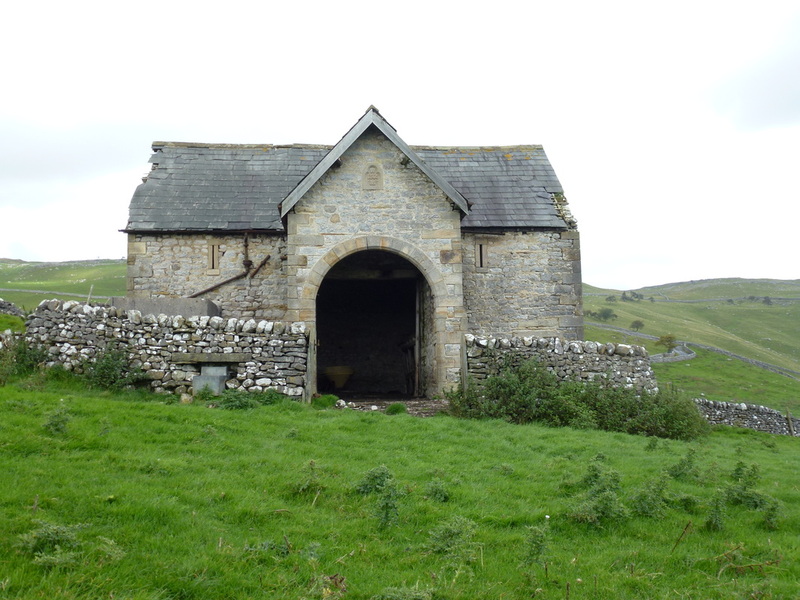 Lovely old building near Malham - housing a cement mixer!